Extra Special Touch is an embroidery & sewing studio in Nottingham making luxury, handmade wedding & bridal accessories. 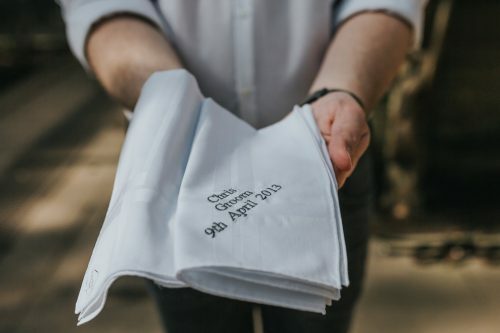 We specialise in personalised wedding handkerchiefs, Nottingham Lace and silk garters, and monogrammed napkins. 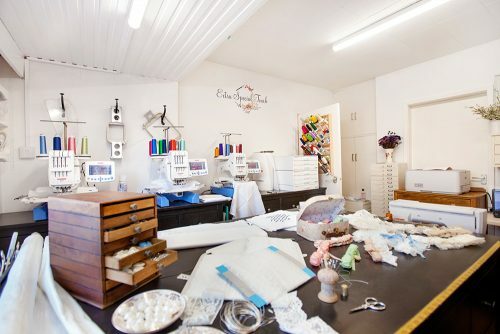 We pride ourselves on high quality handmade and our attention to detail. Our personalised wedding handkerchiefs are ideal personalised gifts for all members of the wedding party. 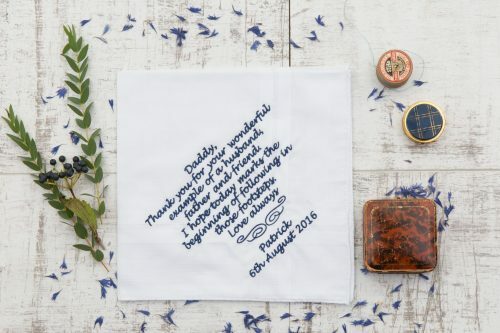 Mothers of the Bride and Groom love our handmade Nottingham Lace hankies with sentimental messages embroidered, and Fathers of the Bride and Groom adore a special personalised keepsake from their son and daughter on their special day. 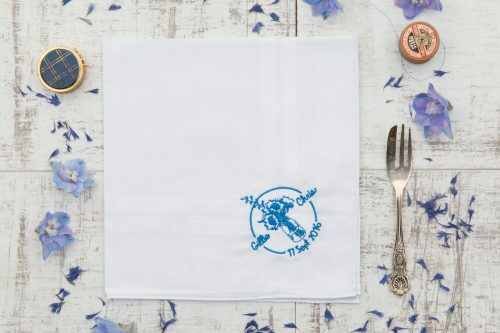 Our personalised napkins can be embroidered with a range of monograms, your own wording or even your own wedding logo or monogram. Monogram napkins make a wonderful finishing touch to your wedding tables and a beautiful souvenir gift for your guests to take home. 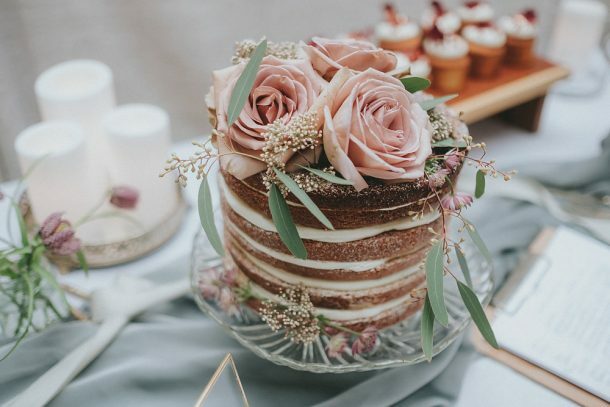 Our napkins are also often bought for wedding gifts, for the happy couple to use in their family home for years after their wedding day. Our luxury handmade garters are made from locally made Nottingham lace, the finest silk ribbons and beautiful trimmings. We offer standard and plus size garters, so you get the perfect fit on your wedding day.